Bucking trends, Berserk has not been delayed. When Berserk was announced back in June, Koei Tecmo had it slated for a 2017 launch. That changed this weekend, when the publisher’s western arms formally confirmed PC, PS4 and Vita release in northern autumn 2016 – that’s September to November. To celebrate, the publisher released a ton of Berserk info and screenshots on the new English-language Berserk website. As fans have noted, the information on the website is full of spoilers for the manga and by extension either of the anime series – so if you’re planning on checking them out you might want to hold off for now. All you really need to know about Berserk is it’s about a man named Guts who can use a very big sword, and then lot of terrible things happen and everyone is horribly traumatised. It’s very dramatic in that old-school manga way where the manga-ka lovingly details rubbery demonic gore piles and such. A new Berserk anime is airing at the moment if you’re interested in getting on board, although it doesn’t start at the beginning of the saga. 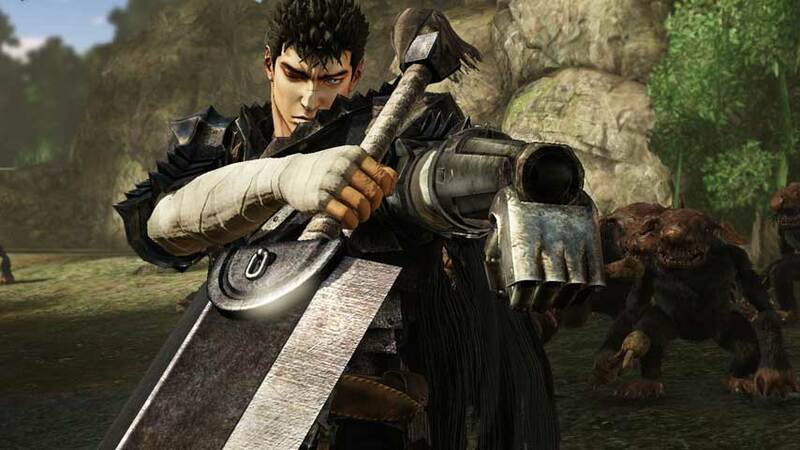 Omega Force has said Berserk (excuse me, “Berserk [working title]”) will be its most violent and edgy Warriors game yet, which is not that tough given most of them are blood-free and colourful affairs where your performance is measured in KOs, often achieved with enormous feathery fans or ink brushes. Apart from that we can probably expect much of the same, and Koei Tecmo has confirmed multiple characters will be playable.